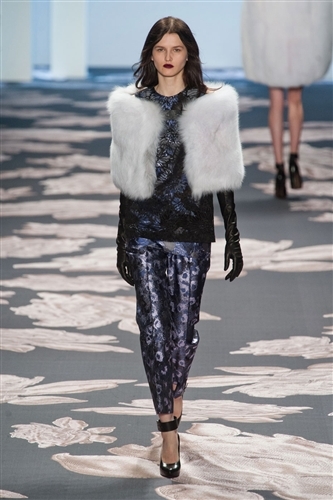 It started off calm and collective at the Vera Wang show with simple pieces in black and stone bracing the runway. 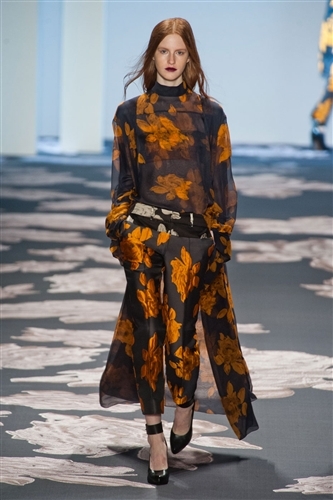 That was until Wang began to unveil a selection of structural masterpieces, far different to her bridal collections that have gained her familiarity. 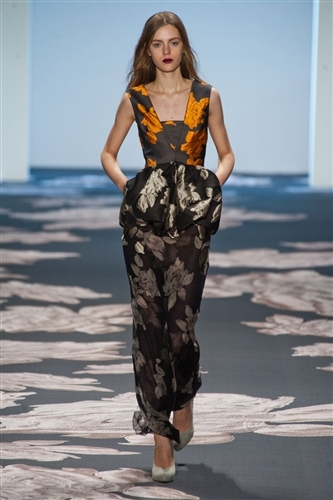 The silhouette experimentation resulted in a variety of dress shapes including asymmetric origami styles to the sparkling sequin, panelled shift. 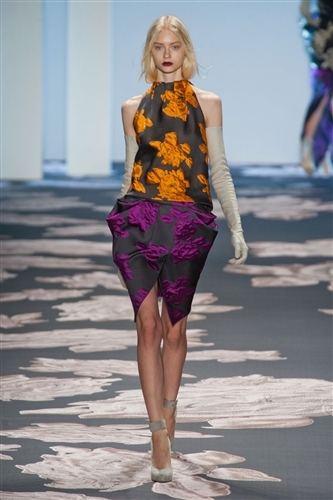 The peplum trend was at large but with a more tulip like shape and infused with feminine satin brocades. 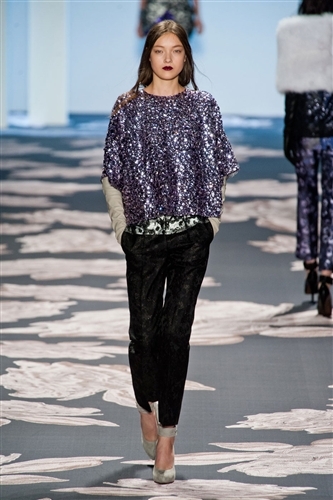 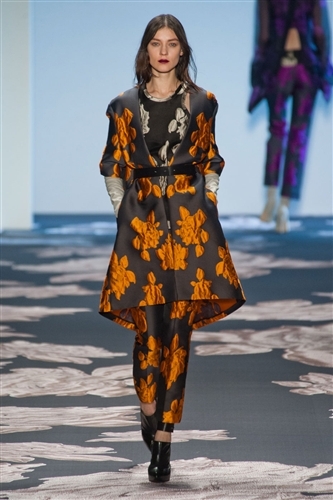 Violet and orange jacquard flowers were refreshing and unique when paired with the same pattern in muted silver. 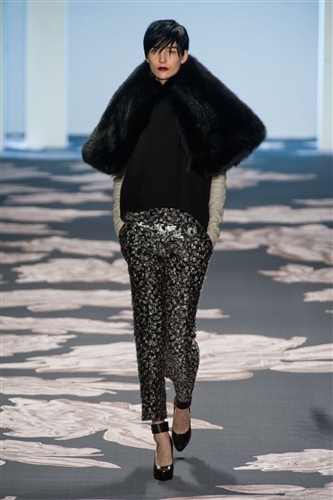 There was also a reoccurence of fox fur capes and stoles which we have seen repeatedly on New York catwalks for fall 2013. 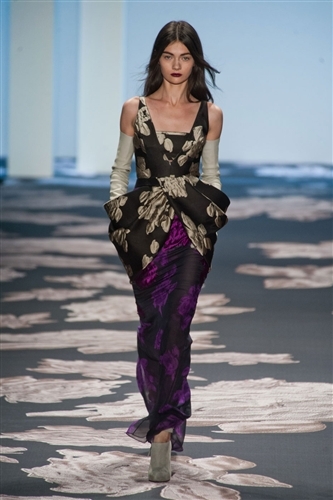 Some may say the collection seemed slightly mismatched, but we consider it as Vera Wang showing she is truly talented at the art of dress making.